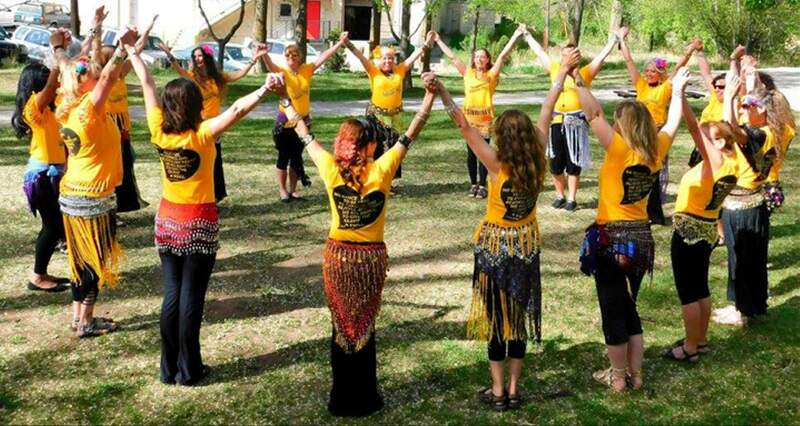 The 2018 Durango Hafla & Fundraiser Belly Dance Show will be held tonight (Friday) as a fundraiser for Alternative Horizons. It’s been two weeks since the 416 Fire broke out north of town, and we could all use some entertainment – and help support our community. That’s where the 2018 Durango Hafla & Fundraiser Belly Dance Show comes in. Starting at 6 tonight (Friday) at American Legion Post No. 28 in Durango, you can catch a full night of belly dancing while supporting Alternative Horizons with your $5 admission fee, which will be waived if you are a fire evacuee or firefighter. There will be refreshments, a silent auction and a cash bar. Doors open at 6 p.m., the floor show is from 7 to 9 p.m. and the audience is invited to the dance party from 9 to 10 p.m. All ages are welcome. “Hafla” is derived from an Arabic word for get-together or party. The Durango Hafla will feature performances from five local belly dance troupes, including group and solo dances by the Durango Shimmy Mob, Troupe Verde, Caldera, Red Desert Muse and Mataholla Moon. Shelley Millsap, team leader of Durango Shimmy Mob, said that Shimmy Mob is an international event that started in 2011 by a belly dancer in Canada. It celebrates World Belly Dance Day on the second Saturday of May. Millsap said the main Shimmy Mob event takes place in May, when all teams in the world dance the same choreography on the same day wearing the same T-shirts. They have buckets out for donations. She said some communities then choose to have a fundraiser, like the show the Durango group is putting on Friday. She said they reached out to local businesses and area support, and as a result, the group is able to provide items for a silent auction, refreshments, the venue, which has been donated by the American Legion, and even practice space provided by Durango Martial Arts Academy. Because of the donations, all money made at the show will go to Alternative Horizons, an organization that provides help to survivors of domestic abuse and their families, offering a 24-hour hotline, support groups, court advocacy and education/outreach. All services are free and confidential and are offered in English and Spanish. For more information, visit www.alternativehorizons.org. Millsap said the Durango Shimmy Mob started in 2016 and now has about 28 dancers. The group prides itself on being inclusive, she said, adding that no dancer is turned away for lack of experience. This show is made possible by community supporters: American Legion, CJ’s Diner, Nature’s Oasis and Durango Martial Arts Academy. What: 2018 Durango Hafla & Fundraiser Belly Dance Show. When: 6 p.m. today (Friday). Where: American Legion Post No. 28, 878 East Second Ave.
Tickets: $5. Free for fire evacuees and firefighters. All proceeds will benefit Alternative Horizons. More information: Call Shelley Millsap at 589-9882 or email durangoshimmymob@gmail.com.